This week, we’re exploring the problem of plastics in our ocean and the solutions that are making a difference. To learn more about #OceanPlastics this week, keep your eye on Facebook, Twitter, Instagram, NOAA’s Marine Debris Blog, and, of course, here. Have you ever looked under a microscope at what’s in a sample of ocean water? What do you think you would find? 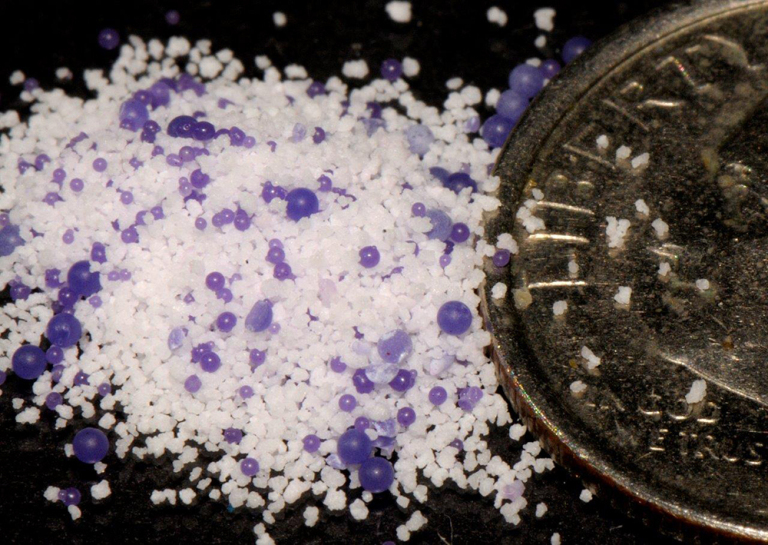 These days, chances are you would spot tiny bits of plastic known as microplastics, which are less than 5 millimeters long (about the size of a sesame seed). The Florida Microplastic Awareness Project is giving people the opportunity to glimpse into Florida’s waters and see a microscopic world of plastic pollution up close. 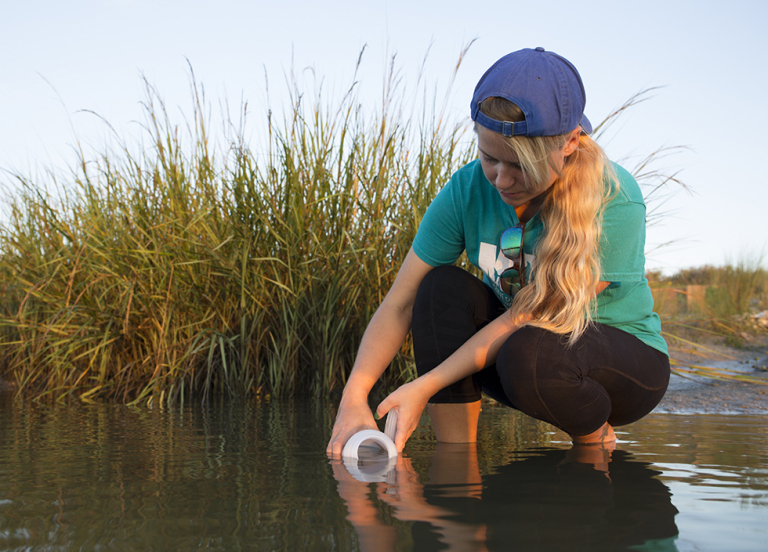 This project integrates citizen science—when volunteers contribute to scientific research—with education about microplastics. I recently spoke with Dr. Maia McGuire of Florida Sea Grant. She’s leading the Florida Microplastic Awareness Project, which is funded by a grant from the NOAA Marine Debris Program. NOAA’s Office of Response and Restoration, of which the Marine Debris Program is a part, has a long history of collaborating with Sea Grant programs across the nation on a range of issues, including marine debris. The NOAA Marine Debris Program has funded more than a dozen marine debris removal and prevention projects involving Sea Grant, and has participated in other collaborations with regional Sea Grant offices on planning, outreach, education, and training efforts. Many of these efforts, including the Florida Microplastic Awareness Project, center on preventing marine debris by increasing people’s awareness of what contributes to this problem. This latest effort, the Florida Microplastic Awareness Project, involves building a network of volunteers and training them to collect one liter water samples from around coastal Florida, to examine those samples under the microscope, and then to assess and record how many and what kinds of microplastics they find. Volunteers (and everyone else McGuire’s team talks to) also choose from a list of eight actions to reduce their contribution to plastic pollution and make pledges that range from saying no to plastic drinking straws to bringing washable to-go containers to restaurants for leftovers. For those who opt-in, the project coordinators follow up every three months to find out which actions the pledgers have actually taken. The project has trained 16 regional coordinators, who are based all around coastal Florida. They in turn train the volunteer citizen scientists, who, as of June 1, 2016, have collected 459 water samples from 185 different locations, such as boat ramps, private docks, and county parks along the coast. After volunteers collect their one liter sample of water, they bring it into the nearest partner facility with filtration equipment, which are often offices or university laboratories close to the beach. 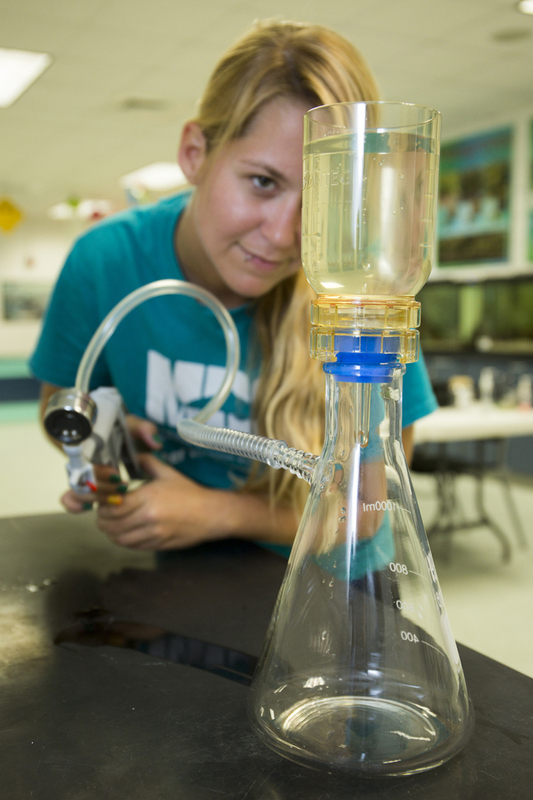 In each lab, volunteers then filter the water sample, using a vacuum filter pump, through a funnel lined with filter paper. “The filter paper has grid lines printed on it so you’re not double counting or missing any pieces,” McGuire adds. Letting the filter paper dry often makes identifying microplastics easier because microscopic plastic fibers spring up when dry. 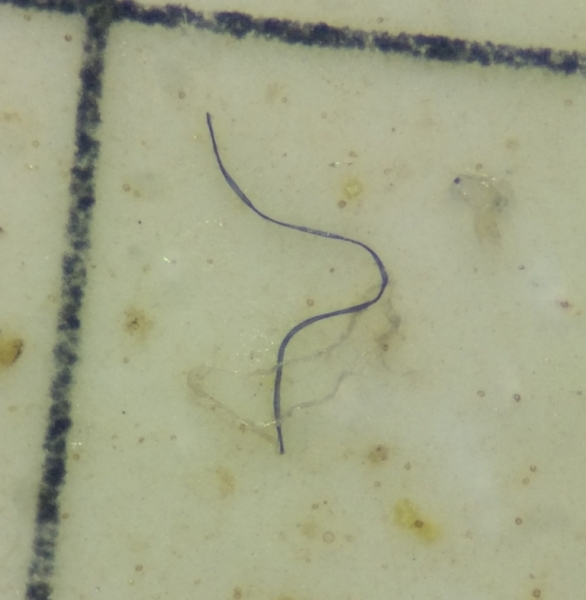 And they are finding a lot of plastic fibers. On average, volunteers record eight pieces of microplastic per liter of water, and of those, seven are fibers. They are discovering at least one piece of plastic in nearly all of the water samples. Next, volunteers record their data, categorizing everything into four different types of plastic: plastic wrap and bags, fibers, beads, or fragments. They use online forms to send in their data and log their volunteer information. McGuire is the recipient of all that data, which she sorts and then uploads to an online map, where anyone can view the project’s progress. However, McGuire points out that what they’re finding is comparable to what other researchers are turning up in the ocean and Great Lakes, except for one important point. 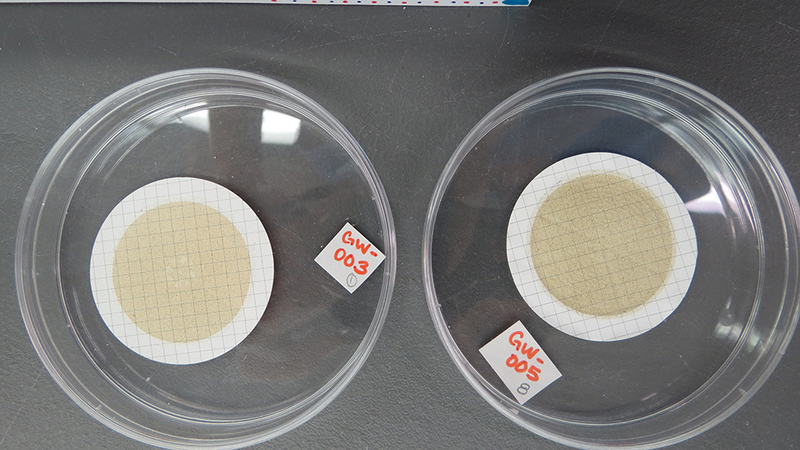 Many of those researchers take water samples using nets with a 0.3 millimeter mesh size. By filtering through paper rather than a net, McGuire’s volunteers are able to detect much smaller microplastics, like the fibers, which otherwise would pass through a net. how many microplastics are in the guts of young fish living in large seaweed mats. how contaminants associated with microplastics move through aquatic food chains. how different conditions affect whether contaminants leach from and attach to microplastics. how microplastics and contaminants may affect how and what marine plankton eat.